I recently found this paperback published in 2002, but still available (I got mine online), edited by Jim Huang. It is filled with reviews of little known, forgotten or under appreciated mysteries contributed by various booksellers, readers and reviewers. Far as I can tell, I've never heard of most of these titles or authors, although there are a few whose names I did recognize and another few whom I've read and enjoyed. Still, it's interesting to look through THEY DIED IN VAIN and see what lost gems might be found among its pages, see if there's something I might have overlooked. (As if I didn't have enough to read just keeping current.) I mean, I'm sure there are plenty of good books I've overlooked over the years, but they have not always been brought to my attention as succinctly as in this informative and well-designed little book. Included are 103 personal essays (organized alphabetically), which span the history of the genre. The books cover a full spectrum from cozies to thrillers, suspense, whodunits and police procedurals. I went through the book with my red pen and circled many titles for future investigation. The back cover of THEY DIED IN VAIN asks the question: If characters die in a mystery novel, and no one reads their story, have they died in vain? This is like one of those tree in the forest things for which there is no answer, but it's something to think about. If you're into that sort of thing. Well, obviously I can't include all 103 recommendations (well, I guess I could, but I'm not going to), you'll have to check out the book for those - all I've done is list a few I'm interested in pursuing. Though there are more in the book I'd like to read as well. A stand-alone novel from the creator of the wonderful Gideon Oliver 'Skeleton Doctor' series. LOOT tells the story of ex-art curator Ben Revere who discovers a lost Velazquez painting in a seedy pawnshop - a painting which appears to have been among the artistic loot plundered by the Nazis during WWII. In Revere's effort to solve a murder and authenticate the painting he is plunged head long into adventure and daring do. (I thought it was 'derring-do' but what do I know?) It is Elkins wry sense of humor and sly observation that shines in this novel and the villains are so nasty that you almost find yourself hissing as you read. I love this book and have reread it several times and never tire of doing so. I had hoped there's be some sort of second in a series, Ben Revere is such a like-able hero, but so far, it is not to be. An unusual and in some ways horrifying mystery, mostly of the heart, told partially from the point of view of a bed-ridden, comatose patient who happens to be a 9 year old boy. I found it fascinating from the openinig sentence:"I'm not most kids. I'm Louis Drax. Stuff happens to me that shouldn't happen, like going on a picnic where you drown." The police procedural mysteries (begun in 1968) by Jonathan Ross featuring British Detective Superintendent George Rogers and his merry men (and women). I've NEVER met anyone else who's read these books. Among them: MURDER! MURDER! BURNING BRIGHT, DAPHNE DEAD AND DONE FOR, THE BURNING OF BILLY TOOBER, DARK BLUE and DANGEROUS, THE BODY OF A WOMAN and many, many more. I was impressed by this series when I first began reading the few books I could find and they remain fondly in my memory. They are tightly woven, well told police whodunits with very engaging characters. If you like procedurals, these are among the best and well worth looking for. My favorite thriller of all yet very few people have ever heard of it. You're plunged from the very beginning into the world of ex-FBI agent, Bill Reed by experiencing, as he does, a terrible motorcycle crash in which he loses a leg. Afterwards, as Reed recuperates and battles depression, he tries to honor a request for help from his cousin John, a Downs Syndrome patient at the sinister Ullman Institute. Clarkson creates an atmosphere of such menace in this book that when I read it, I had to take suspense breaks. The menace was that overwhelming. Don't miss it. Divorced mom Alison Kerby has the great idea of restoring an old house on the New Jersey shore, turning it into a profitable guest-house ('...it's not a bed and breakfast!) and living there happily ever after with her nine year old daughter, Melissa. Unfortunately two dead people are running interference with her plans. It seems the previous owner Maxie Malone and the private eye she'd hired, Paul Harrison, were found dead in the house. The police initially termed it a double suicide. The two ghosts who appear to Alison, insist they were murdered and what's more, want Alison to find out who did it. Okay, sounds good so far - and it is. 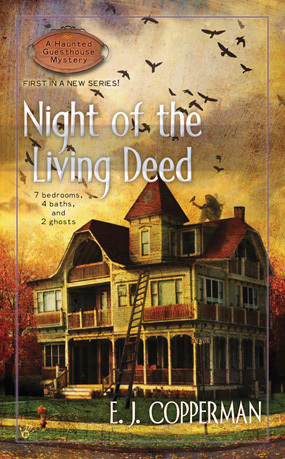 In NIGHT OF THE LIVING DEED, E.J. Copperman has written a charming cozy of a tale featuring a like-able main character, her equally like-able precocious daughter (and if you think writing children is easy, think again), and two ghosts with definite personalities of their own. The whole thing is a romp as Alison is forced to investigate if she ever wants to have a moment's peace in her new place. Of course there's also a 'treasure' hunt. What would a haunted house be without a 'buried' treasure? In this case it takes the form of...well, you'll figure it out. There are dead bodies, a bunch of suspects, threats to Allison and Halloween to deal with before we come to the satisfying conclusion. I am definitely looking forward to more in this series. It's the 75th Anniversary of Penguin Books. In 1935, Allen Lane had a revolutionary idea: publish cheaper, smaller, flexible editions of books - the first pocketbooks - making books more widely available to a wider majority of readers at '...cheap prices.' He believed in the idea so much he invested some of his own money in it when others hesitated. Of course, skeptics laughed, but here we are 75 years later. Somehow my original Cozies Up post disappeared from the blog. I didn't know this was possible, but I'm learning fast. My daughter assures me it is impossible, that no one can get 'into' my blog. And yet it happened. Blog gremlins. Posting the list again in hopes that this time out, it will stay where it's supposed to. 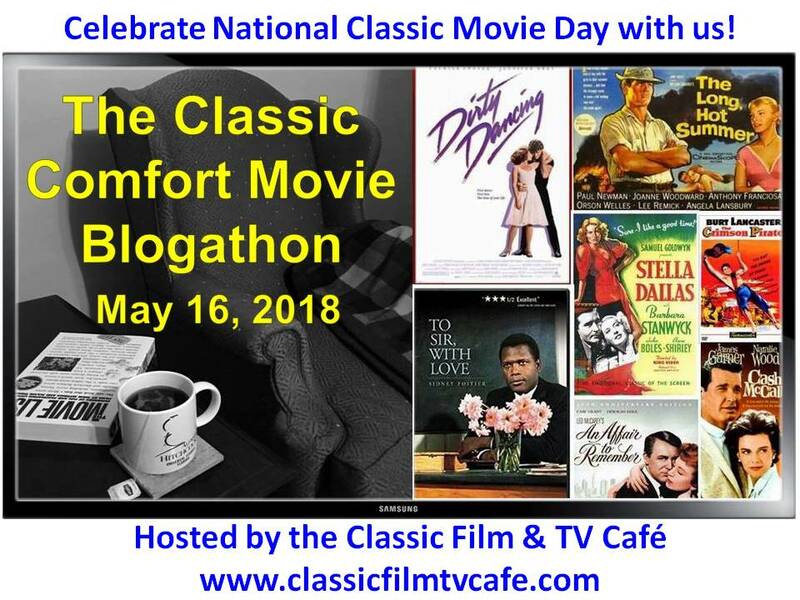 And thanks to Classic Mysteries once again for giving me the original idea to blog about cozy mysteries. When you're feeling melancholy and just want something 'comfortable' to read, or if you're just not in a mood to suffer the strewn body parts and extravagant bloodletting of the average thriller, herewith my list of some of the 'cozies' I've read and enjoyed in the past couple of years. Just wanted to remind everyone that the six original Charlie Chan books by Earl Derr Biggers are available in beautiful trade paperbacks published by Academy Chicago Publishers. I love it when a publisher makes an effort to package books in well designed editions. I'm also extremely fond of 'trade' paperbacks. They fit well in the hand no matter if you're sitting in a rocking chair, lying in a hammock, or just in bed, leaning back among a bunch of pillows. The type is usually just the right size, too. If it were up to me, outside of hardcovers, ALL books would also be published in 'trade' size. For those of you who only know Charlie Chan from the films of the thirties and forties, take a look at these books. 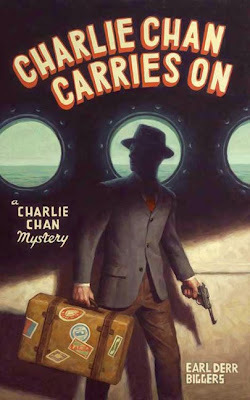 Even if they might seem a bit dated (especially in their view of Asian-Americans), they are still well written enough - Inspector Chan is never presented as less than a dignified, intelligent detective. But then, I enjoy being taken back to times and places that no longer exist especially when there's a crime to be solved and a savy detective to pal around with. 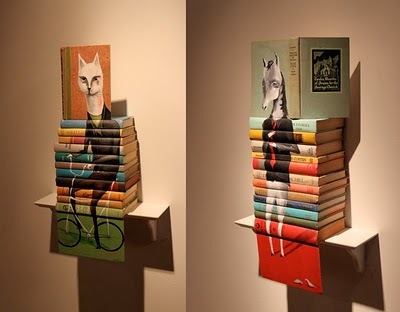 Check out these book sculptures by artist Mike Stilkey. Normally I don't believe in defacing books of any age, shape or form. But I guess if the books have already been read umpteen times and/or you have multiple copies or you are buying beat up old books in a box at some out of the way auction just for this purpose...I guess it's all right, if the results are this inventive and charming. What do you think? Great for a wall where no bookcase will fit or how about above a short bookcase? One of these would look great above a bookcase filled with children's books. 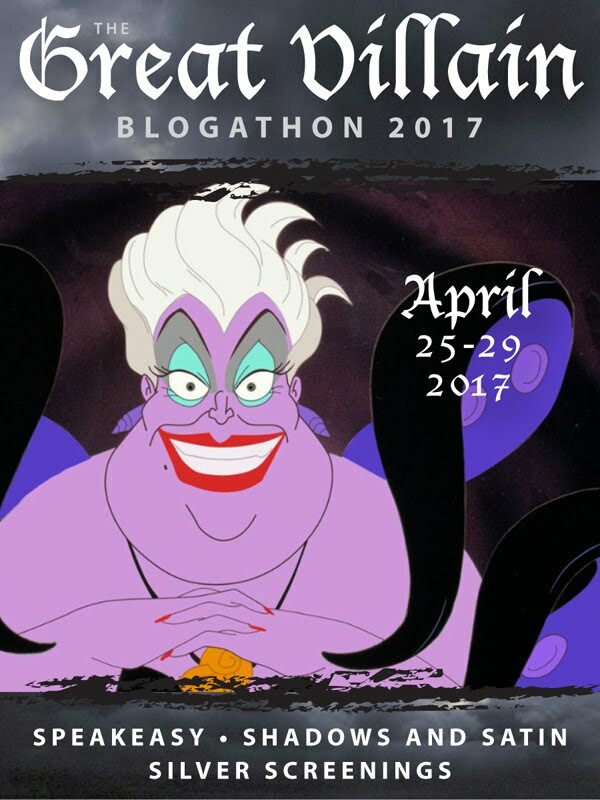 You could do a theme. One of the girl paintings over a bookcase filled with fashion/style/'chic' lit type books. Or one of the more sinister ones over a mystery bookcase. I'm liking it. In yesterday's blog post I mentioned my lack of a bookcase in the bathroom due to the moisture factor, well, thanks to a tip from Alison Morris in Publisher's Weekly, here's a way of having books surround you even in the shower. 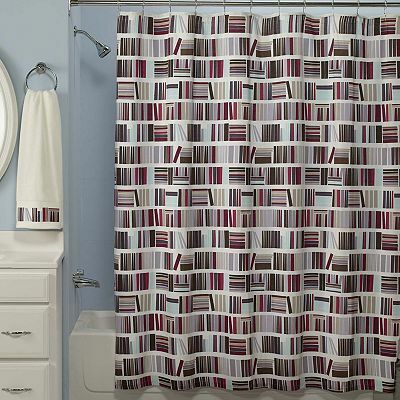 A book-y shower curtain. Kohl's sells it. Not sure how I like the towels, though. Probably not. Too much of a good thing is, sometimes, just that. Where would we booklovers be without them? How many shelves do you have in your house/apartment? Are you a bookshelves-in-every-room type as I am? Are you running out of space for all the books you'd like to own, all the books you surely do intend, at some point, to read? Do you find yourself gazing longingly at bookshelves in the furniture/antique/etc. store, wishing you could find just the spot for that really nice, tall one over there? Do you find yourself re-arranging rooms occasionally just to fit in another bookcase you simply had to lug home from a garage sale? If all your answers are 'yes'. Then welcome to the madness. I have bookshelves in every room except the bathroom and I've only stopped there because I know humidity is the kiss of death for books. Well, of course then, in the living room, there's always the coffee table to pile high with books. The pile of paperbacks pictured is from the bookshelf in the laundry room which is just the perfect depth for my collection of old paperbacks galore. The shelf with the scottie bookend tucked in between books is from the kitchen. The only shelves missing are the cookbook shelf also in the kitchen and the nice white painted one from my bedroom which is extra deep and has room on each shelf for double rows of books. Oh, and recently I added another shelf in the laundry room. Here's the NY Times review of the glorious Tilda Swinton's new movie, I AM LOVE. If you are a big fan of Swinton's, as I am ever since the visually luscious film, ORLANDO, years ago, be sure not to miss this. If she isn't the most elegant woman in films, I can't think who is. Artist Michael DesRosier's Lyme, Connecticut compound is a thing of beauty and invention.He appears to have the aura of a man who has truly found himself and his place of belonging. At 53, he is having his first show, but here he is eagerly and proudly just sharing his living spaces. He is a man who has turned his (and his mother's) home into a wonderland of ideas. The article and slide show from the Times is pretty comprehensive except for the fact that they forgot to show us Michael's paintings. I guess they were sidetracked by the marvel of his home. Here's a link to the Westwood Gallery in NY, where a couple of the paintings can be seen. Terrific article from the Barnes and Noble Review, through Salon. Mystery novels, we always knew they were good for us. And what's more, they're not fattening. The titles mentioned in this piece are all news to me. I guess I'm not as well versed in mystery as I thought. I'd better get my hands on a few of these. Thanks to Rosemary over at the wonderful CONTENT IN A COTTAGE blog for alerting me to the good news of this Matisse exhibit at NY's Museum of Modern Art. You can link directly to the piece here: New York Social Diary. Can you imagine a home without books in it? I can't. I honestly and truly can't. Because a home without books just wouldn't be a home to me. Yet, this piece from Publisher's Weekly reminded me not to condescend. Of course there are homes without books, sad to say. Sadder still if there are kids living in those homes. This article from PW names some organizations which are doing their best to place books in kids' hands. Before the heat totally fades them away, here are my flowers as they looked a few weeks ago when temperatures were more to their liking. Today they are looking straggly and beat, exhausted actually. No real point in showing them to you. They are whipped. It's been one of THOSE summers. Perfect for reading in an air conditioned room, or by the pool, or in a shady glen by a lake, perhaps surrounded by bird chirps. Though come to think of it, a lot of the birds have already beaten a hasty retreat. It's too darn hot. Short walks are the norm. Worms lying on the sidewalk, utterly spent, look ghastly. I avoid stepping on them. Sometimes I'll gingerly pick one up and place it on the grass, but I don't know that they thank me for it. When I was a kid we didn't have air conditioning. We were heartier stock then, I guess. Or maybe it was that we didn't KNOW about air conditioning, didn't know anyone who had one. So maybe they hadn't come into full use then. Maybe they hadn't even been invented. I grew up, as everyone knows, when dinosaurs roamed the earth. At least according to my daughter. 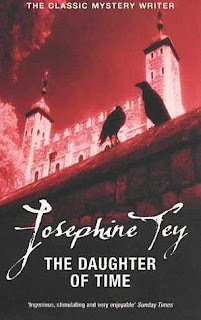 July 25th was the birthday of one of my very favorite authors: Josephine Tey. My favorite Teys of all are THE DAUGHTER OF TIME, BRAT FARRAR and A SHILLING FOR CANDLES. She was an incomparable. Sad news: The actor Murray Chaykin died yesterday. 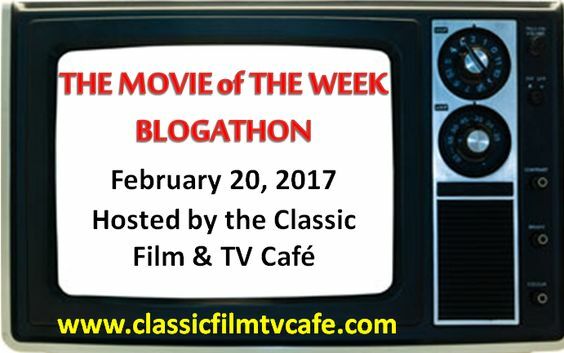 Though he was an all round character actor, he is most well known for having played Nero Wolfe in the A&E television series a few years ago. Here's the link. A quick recommendation for today. If you, like me, are at all interested in books about books, antiquarian, used, rare and not-so-rare and enjoy reading about them, have I got a book for you. I first read this several years ago and have since gone on to re-read it countless times and often give it as a present to book-worthy friends. The Goldstones begin as hapless novices in the book trade, but before too long they are both 'in the hunt' for books in out-of-the-way shops, mostly in the Northeast. They revere (and the reverence is felt), books and the reading life and make the joy of reading and discovering another 'treasure' at the bottom of a dusty shelf, seem like the purest fun. And oh, the wonderful eccentrics they meet along the way - each one revealed in perceptive little vignettes. Is there any eccentric more intriguing or often baffling than a 'book eccentric'? The Goldstones obviously enjoy being married to each other and there is a delightful meeting of the minds that occurs between them - it can't help but be revealed in the pages of this book. So USED AND RARE is about books, but also about life, marriage, relationships, commonality of thought, book collecting and, best of all, reading. There is a sequel titled, SLIGHTLY CHIPPED, which is almost as good. I couldn't go any further without posting a picture of the guy who shares my digs. His name is Rocky and I'm pretty sure he's pure chihuahua, though he is a bit on the large side - certainly not 'teacup'. My daughter calls him 'the sausage', but we scorn her criticism. He is a handful. I believe (and tell him often) he should sink to the ground everyday and thank the gods above that I found him and he found me and that by some miracle, I have the patience to deal with his eccentricities. Who else would put up with him? (but only when it comes to his treats - woe be onto you if you try to take one away from him) and still lunges at strangers in the street. I've never lived with a small dog before, it has been an education. All the dogs in my past were large and in many ways, easier to manage. Well, at least they didn't challenge every pit bull in the neighborhood to a duel as they pass by the house. I'd never been bitten by a dog until Rocky - mostly in the beginning when I first adopted him about a year and a half ago. But my attitude is: hey, no body's perfect. And we don't really know what was done to him in his early formative years. (He was four when I got him.) He originally comes from Florida, I believe. Maybe the sun there fried his tender little puppy synapses. Having said all that, he is at heart, an intelligent and affectionate dog. He is snugly, sweet (most of the time) and fastidious. He makes me laugh. I adore him. Yes, I truly do. I adore every suspicious little hair on his bony, bug-eyed head. I was over on Facebook earlier posting pictures of the brilliant work of Russian turn-of-the-century designer, Leon Bakst, when a thought occurred: why not blog about it? Especially when Bakst is one of my favorite designers/colorists/painters and creator of all things bright and beautiful for the stage. when I discovered Bakst's work years ago, naturally it was love at first sight. How great would it be to earn your living designing spectacular costumes and sets for the theater or ballet? Certainly you'd be hard-pressed to discover anything more fun. Ah well, maybe in the next life. Baby sat my beautiful granddaughter today while my daughter (her mother) spent a few hours resting and recuperating (ha!). I was happy to do so. This is my only grandchild and naturally, she is the center of the family's attention. She is a happy, unfussy baby with the sweetest smile you ever saw and already, at close to two months, sleeping through the night. I can hardly remember what the world was like without her in it. While she napped, I read and kept an eye on my chihuahua Rocky (who is not used to being displaced as the center of my attention), making sure he found no clever way to express any lingering resentment. I needn't have worried. He was good as gold, though I did receive a couple of 'who is this person and when is she leaving?' looks. Still, he behaved. The book I'm reading is not new except that it is 'new' to me. Seattle author, blogger and librarian extraordinaire Nancy Pearl was right when she termed author and cyberpunk king, Neal Stephenson "too good to miss" in her anthology of book recommendations, MORE BOOK LUST. It is thanks to Nancy that I've discovered Stephenson's extraordinary 900 page novel, CRYPTONOMICON. Who knew there was this sort of rich world of writing speciality lurking within the sci-fi genre? Though in my view, this brilliant book expands the genre, any genre - if it is 'genre' at all. This is nothing less than mind-bending thriller, mystery, historical adventure, laced all the way through with a fatalistic humor reminiscent of the classic, CATCH 22. Published in 1999, CRYPTONOMICON jumps swiftly back and forth (a bit unsettling at first, but you soon get used to it) between the WWII era, the soldiers fighting that war, the Bletchley Park cryptographers who broke the Nazis' Enigma code helping to win the war for the Allies and modern day computer nerds, hackers and oily business types looking to establish a cyber-haven empire in Southeast Asia. The editors of the late and much lamented book catalogue, THE COMMON READER, used to have an expression which I think I will co-opt, it describes Stephenson's book exactly: a thumping good read in which I am happy to lose myself for a few hours. This is my first ever blog post - boy, am I nervous. First and foremost: please bear with me as I fling myself on your mercy. A confession: I am a hapless, often hopeless techno-incompetent so believe me when I tell you that my creation of a blog is a total leap of faith and complete surprise to me. I mean, talk about throwing caution to the winds. I don't even know if the design I've chosen will work out. Okay, having said that, I promise to do my best, at least, not to mess things up and/or bore you to tears. But I can't promise that things won't be a bit clunky around here while I get my bearings. Though I'm showing a link to my agents' website, what this blog will not be: Not my art blog. That's something I'll be setting up in the near future to feature my illustration and painting. (I've been an illustrator for over thirty years and am currently re-doing my portfolio - branching off in a new direction.) This blog is my attempt to get a toe wet in the water - so to speak. My daughter's advice: Ma, get some kind of blog up and running and if you like it, then do the art blog. Okay, so that's what I'm doing. A 'talking' blog supposedly being less complicated than an art blog - that's our thinking anyway. This blog will be all about the things that personally interest me, book-wise, art-wise, design-wise, life-wise and if I can convey my enthusiasm and draw you in to share it with me, then my work here will be done. At least for the moment. Warning: Esoteric inclinations straight ahead.